Cleveland Style Waltzes with many different artists! 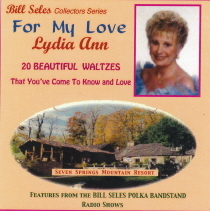 Bill Seles presents “20 Beautiful Waltzes” that you’ve come to know and love. There are many great artists on this CD playing waltzes. Don’t pass this collector CD!